Warm welcome from the host with plenty of useful info given. Great Central location for getting around Bath, literally 2 minutes walk and you were in the centre. Minutes from all shopping and amenities with a Waitrose on the doorstep. The location of the apartment was excellent, a stone's throw from Pulteney Bridge and only a short stroll from the baths, abbey and all the town's attractions. Nice clean top floor flat. Lovely modern shower room. Very convenient for Bath. Lovely little flat which couldn’t be better situated. Nicely furnished and very clean. The bed in the flat we stayed in was one of the best beds if ever slept in!! Brilliant location for Bath, we were given a parking voucher for free street parking which made our arrive a lot simpler. The Owner was there when we arrived to show us all around, we had a few problems which the owner fixed immediately we advised. The apartment was very spacious, newly decorated with a modern kitchen and a small garden for our use. Would definitely stay here. Our apartment had 3 beds rooms very good size for a family. Kitchen was very well fitted only thing missing was a washing machine and as we had a short stay wasn't required. Location excellent and easy to walk to and from all sites of interest and bars/ restaurants in Bath. Bathroom spacious and modern. This was a great apartment. The host was friendly and helpful, the location excellent and the parking permit a real bonus. The beds were comfortable and there was a really good shower and full kitchen in our apartment. Definitely our first choice for our next stay in Bath. Lock in a great price for 10 Grove St - Bath Holiday Suites - rated 9.4 by recent guests. One of our top picks in Bath.Set in Bath in the Somerset region, with Bath Abbey nearby, 10 Grove St - Bath Holiday Suites offers accommodation with free WiFi. The units come with a flat-screen TV and a private bathroom with shower. Two of the units feature a fully equipped kitchen and the others have breakfast making facilities. The Roman Baths is 1 miles from the apartment. The nearest airport is Bristol Airport, 19.9 miles from Bath Holiday Suites. This property also has one of the best-rated locations in Bath! Guests are happier about it compared to other properties in the area. 10 Grove St - Bath Holiday Suites has been welcoming Booking.com guests since 17 Nov 2015. When would you like to stay at 10 Grove St - Bath Holiday Suites? This suite offers a separate breakfast bar, a fridge, microwave and toaster, tea/coffee making facilities and cooking utensils. In this room, you can also make use of a small sofa with a coffee table, flat screen TV and an en-suite bathroom with walk-in shower and underfloor heating. In this room, you can also make use of a sofa with a coffee table, flat screen TV and an en-suite bathroom with walk-in shower and underfloor heating. This one bedroom apartment is split on 2 levels and features a fully equipped kitchen with an oven, stove and fridge and dining area. There is also a washing machine and dishwasher. You can make use of the apartment's bright living area with a flat screen TV. The bathroom has a walk-in shower with heated floor. 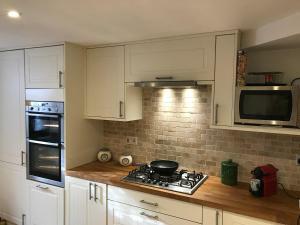 This one bedroom apartment is on the second floor and offers a full kitchen featuring oven, gas hob, fridge, toaster and tea/coffee making facilities. The bedroom has a king-size bed. There is a living room with a comfy sofa, fold out bed, a flat-screen TV, dining table and chairs. There is a bathroom with walk-in shower, heated floor, and a separate toilet. Located on the second floor. In this two bedroom unit the larger bedroom has a breakfast area with a sink, fridge. One of the rooms can be made as either a double or a twin with 2 single beds. Please specify your bed preference prior to arrival. There is a large bathroom with a walk-in shower, heated floor, heated mirror and toilet. The bedrooms can be set up with either a double bed or 2 single beds, please specify your preference when making your booking. 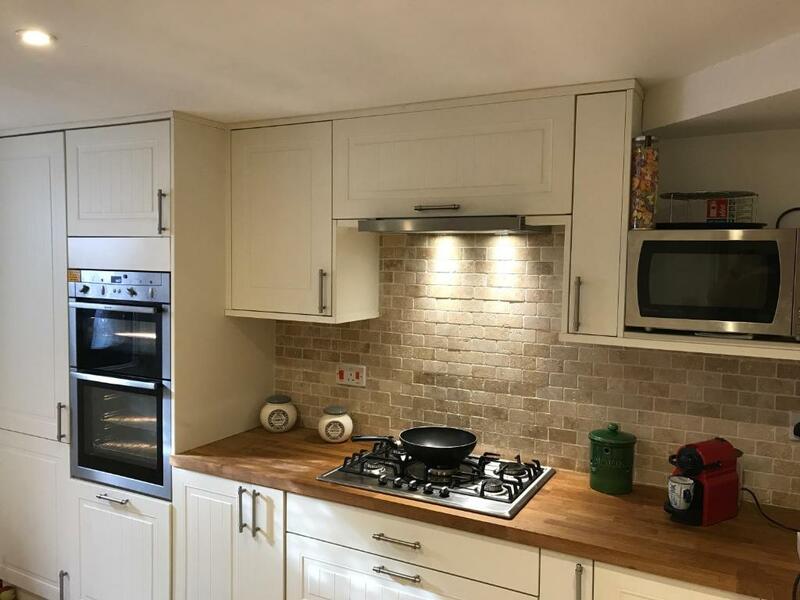 Features two double bedrooms, and a single bedroom, a bathroom with shower and toilet, separate toilet, a living room, a fully-equipped kitchen with double oven, hob, fridge freezer, microwave, dishwasher. There is also a garden with terrace and garden furniture. The bedrooms can be set up with either double beds or single beds. Next to the main door is our one bedroom maisonette with its own entrance - there is a good sized living room with sofa bed, a bedroom with king bed, and downstairs you find the amply equipped kitchen with breakfast bar, and a large bathroom with walk in shower and toilet. On the first floor there are two one bedroom suites that have a separate kitchenette, living room (with sofa bed), toilet and modern bathroom with walk in shower. Also on the The kitchenettes are effectively breakfast facilities with a fridge, tea and coffee making facilities, toaster and microwave. On the top floor we have an apartment with separate double bedroom, a fully equipped separate kitchen, dining/living room(with sofa bed), a bathroom with toilet and walk in shower plus a separate toilet. There is also a two bedroom unit with large bathroom with walk in shower, which is ideal for groups requiring separate bedrooms. All bathrooms have underfloor heating. Wifi connection is available and each unit has a TV. We can provide a residential parking permit on request. Anglo/Dutch/Italian couple, use to run a couple of hotels in French ski resorts, now taking in the good life in the splendid Georgian city of Bath. 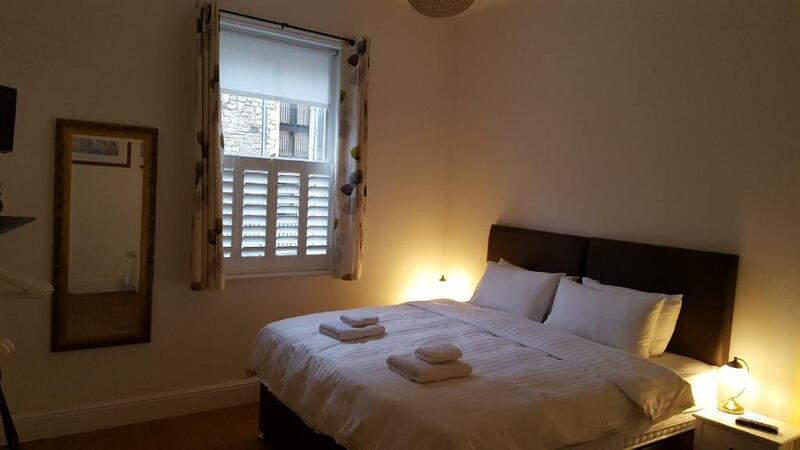 We are located a very short walk from the famous Pulteney Bridge. With restaurants, cafes, shops and Waitrose around the corner, but at the same time in a relatively quiet residential street. House rules 10 Grove St - Bath Holiday Suites takes special requests - add in the next step! 10 Grove St - Bath Holiday Suites accepts these cards and reserves the right to temporarily hold an amount prior to arrival. Please note, the rooms with kitchenettes are not suitable for cooking meals. Pets are only allowed on request and an extra charge of GBP 10 per night applies. A security deposit of GBP 75 is required upon arrival for incidentals. This deposit is fully refundable upon check-out and subject to a damage inspection of the accommodation. Please inform 10 Grove St - Bath Holiday Suites in advance of your expected arrival time. You can use the Special Requests box when booking, or contact the property directly with the contact details provided in your confirmation. Nothing, outstanding and will definitely re book when next visiting my mum. Not a lot I didn’t enjoy! Coffee machine was not working properly unfortunately. Kitchen area was smaller than I expected but usable for our needs. It was a bit of a climb upstairs to our top floor apartment and although this did not detract from the overall experience we’ll try and request one on a lower floor next time. Sofas. Very uncomfortable and not ideal when we had a night in. Good size apartment in central location. Friendly and helpful host who met us on arrival and gave us some useful information about the area. had to keep turning the room temp up. the shower wasnt draining propoerly and needs attention. only one teaspoon in the drawer! Bed was comfy and bathroom light and airy and close to town. Mattress was not really comfortable and hairdryer didn’t have hot air which means it took me 25minutes to dry my hair. Location.It was handy to have a kitchen to prepare breakfast.It was in a safe area and a really secure flat.It was great that they provided a parking permit.